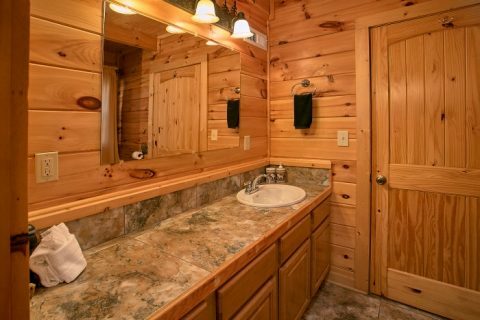 You'll find "Beary Dashing" cabin just off of the Spur Road that connects Pigeon Forge and Gatlinburg, TN! 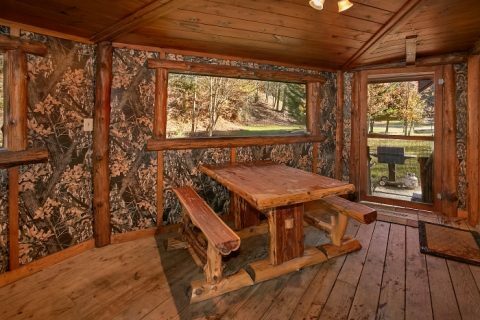 Guests of this stylish cabin can enjoy incredible access to both cities with ease. 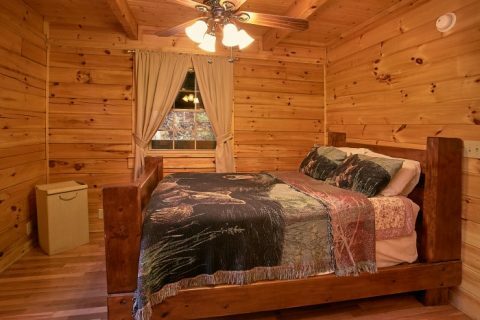 Whether you'd like to explore the Great Smoky Mountains National Park or go see a top-rated dinner show in Pigeon Forge, this cabin keeps you close to all the best attractions. 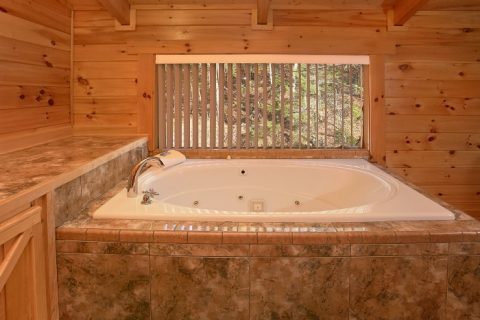 With 2-bedrooms and room for up to 6 guests, this comfortable, 4-star cabin is a great fit for a small family vacation or a getaway with good friends! Enter into the main level you'll find a cozy space for gathering with your family and friends. The center of the room focuses upon a large gas fireplace complete with custom woodwork and a handsome mantel. 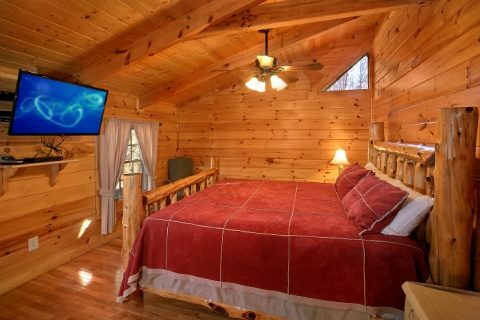 This room also comes with a flat-screen television for enjoying a fun movie night in your rental. 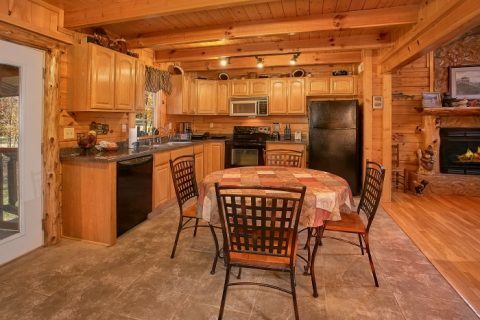 Nearby, your cabin's sizeable kitchen area features plenty of counter space, cabinets, and modern appliances for preparing delicious dinners. Additionally, a gas grill is perfect for enjoying seared meats and veggies. 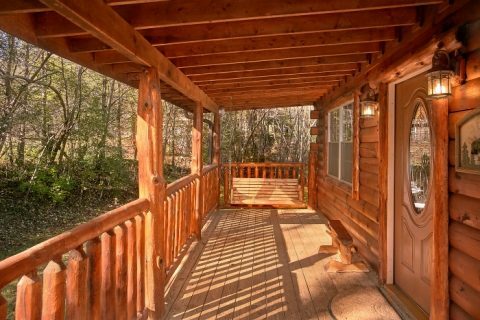 For relaxation, you'll love sitting in this cabin's screened in back deck or just unwinding on the front porch with a porch swing. 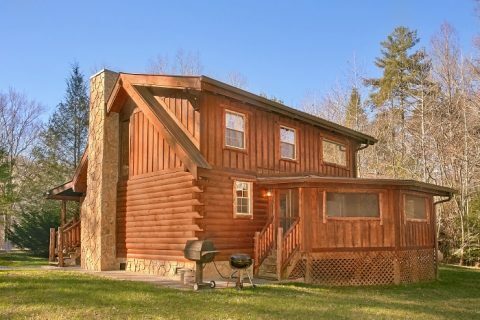 This cabin features a large yard area perfect for throwing the football, warming up around the fire pit, or just giving the kids extra space to play. The main floor is also home to a private bedroom with a full-size bed. The living area features a sofa bed for extra guests. Upstairs, guests will find even more comfortable sleeping space in the king-size bedroom. 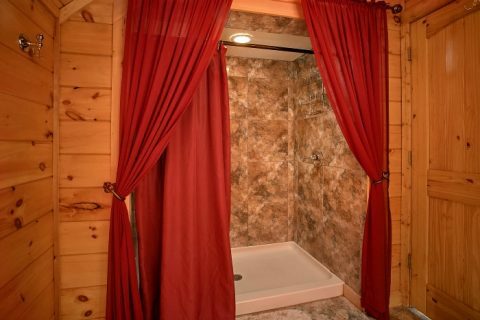 This floor boasts access to a spacious bathroom complete with a large jacuzzi tub and a custom shower with stone tiles. 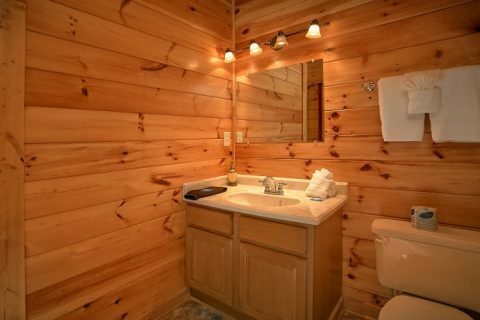 Other practical amenities included in this cabin are WiFi Internet and a washer & dryer. 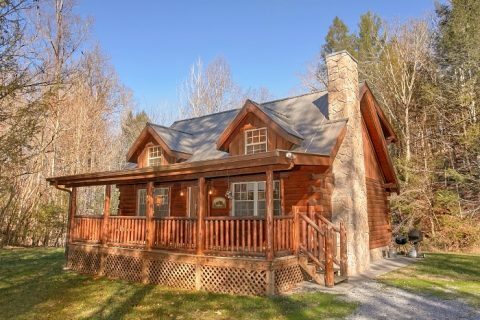 Book your very own 2-bedroom cabin that's close to the best attractions in the Smoky Mountains! 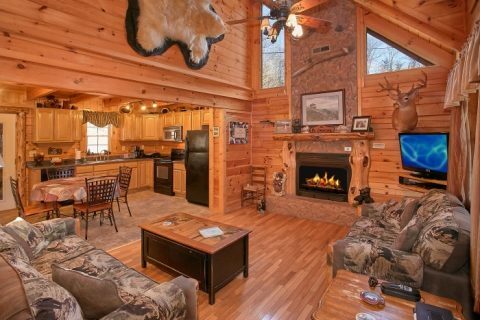 Better yet, you can save 15% simply by booking "Beary Dashing" online with Cabins USA!